In the C&S Electrical Wholesale Hager Handicap Chase (4.15) at Taunton on Tuesday, Lillingdon remains a maiden after twelve starts, but had been in fair, if unremarkable, form last spring, prior to ‘frightening himself’ on his chasing debut at Fontwell in October. 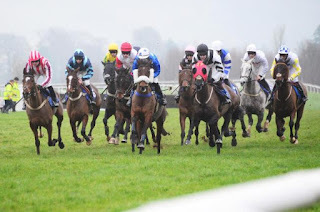 In two subsequent runs over the smaller obstacles, at Wincanton, he’s only beaten a handful of rivals and been beaten over 50 lengths on each occasion, but that should have restored, at least, some of his confidence. Colin Tizzard’s 6-year-old can race off his lowest handicap mark ever, 6lb lower than when third of 15, beaten 5¾ lengths, in a 0-120 contest over hurdles at Chepstow last April, so would have a definite squeak if able to recapture his best form. Clearly that’s a big “if”, but the Westerner gelding still has time to make the grade over fences and looks a sporting wager to give his owners, the members of the Colin Tizzard Racing, something to shout about.